The problem in Ancient Egypt is that the only property we find in its figurative production is the artificiality. The paintings, statues, reliefs…that the people of Ancient Egypt made were not thought for being contemplated. All that production were located inside temples or/and tombs, sacred places with restricted access. Just the priesthood and/or members of the royal family were allowed to get into them. That means that what we call “art of Ancient Egypt” had barely observers and, therefore, a communicative intention. 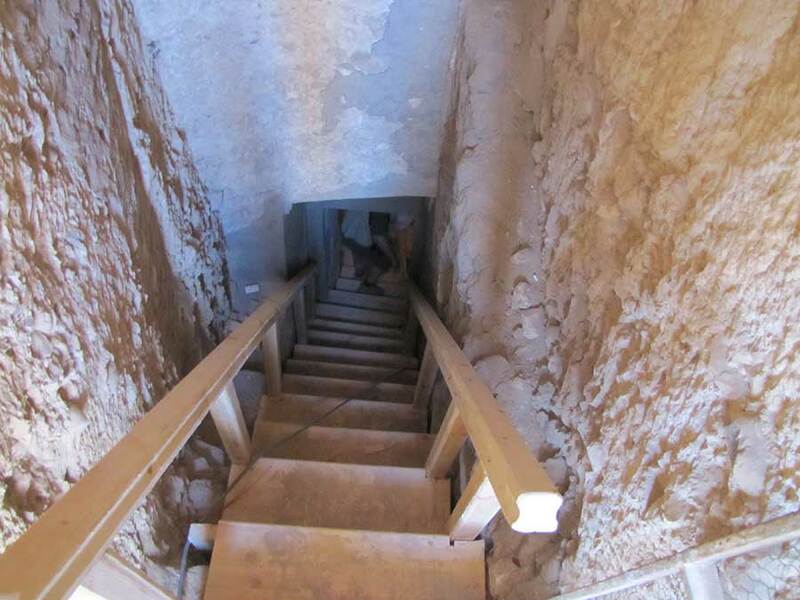 Entrance to the tomb of Nakhtamon in Deir el-Medina. This access was restricted to a reduced group of people. The decoration was not exposed to everyone. Photo: www.osirisnet.net. Ancient Egypt. On the other hand, a very important point is the decoration itself. 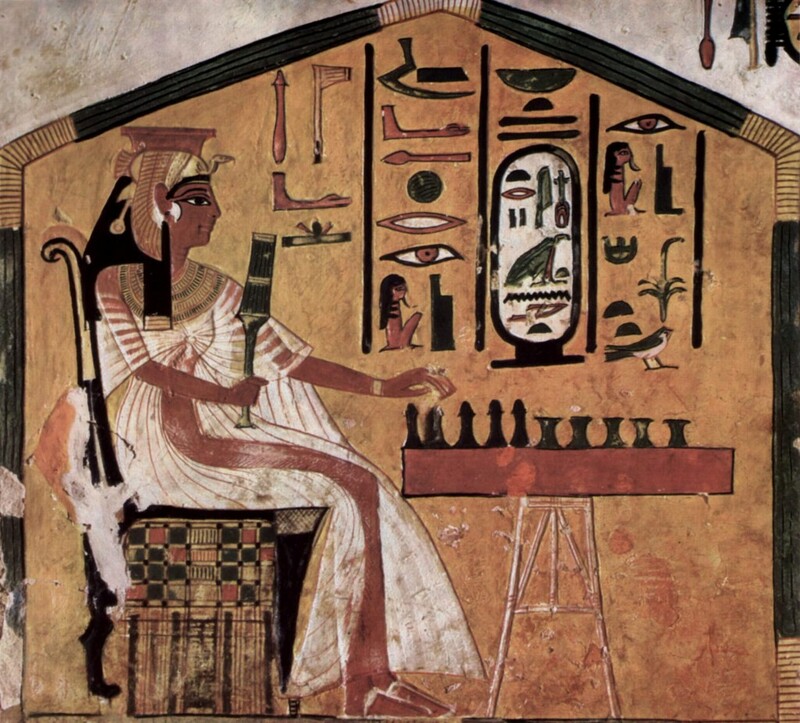 Scenes depicted on walls of tombs and temples were quite repetitive, we can find very similar images in different tombs even from different periods of the history of Ancient Egypt, for instance the scene of playing the board game senet. Because there was an iconographical repertory, the artist of Ancient Egypt had to work with. Mereruka playing board game of senet. 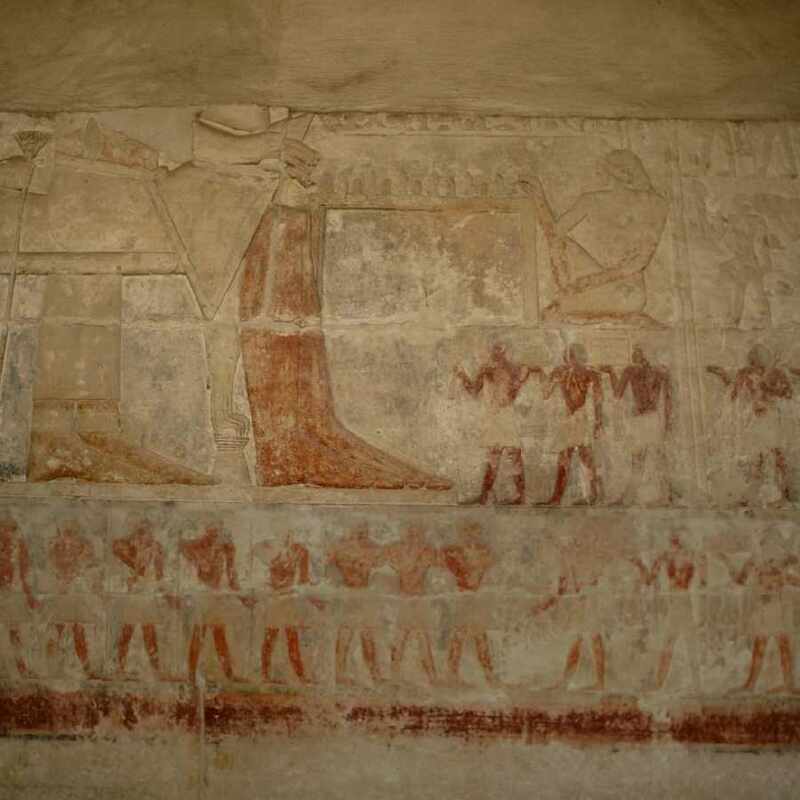 Scene from his tomb in Saqqara. VI Dynasty. Old Kingdom. Photo: www.osirisnet.net. Ancien Egypt. The standard decoration causes also a lack of authenticity and individuality. That is more evident when we notice that the art of Ancient Egypt is anonymous, any piece of Egyptian art is signed by its author. We do not know who made them, but who requested them. We talk about the Sunflowers of Van Gogh, The Thinker of Rodin, La Pedrera of Gaudí…, but in Ancient Egyptian Art we refer to a statue of Ramses, the funerary mask of Tutankhamon, the tomb of Mereruka…We mention the people this works were made to, but not the people produced them. So, was there in Ancient Egypt artists or craftsmen?